To effectively operate programs that become a models for social change by developing young women who are socially-conscious and responsible leaders for the next generation! This holistic youth development program targets 300 girls per year and provides weekly workshops, leadership development, service learning, conferences, cultural activities, college prep and college access services, school advocacy, mentorship, personal development sessions and teaches the importance of true sisterhood. Through implementation of our 3-D curriculum and program services, D2F provides girls with decision making and life skills that will support their successful development into womanhood. It nurtures and reinforces femininity as a positive identity with inherent strengths and abilities. Given the importance that girls place on relationships, 3-D teaches relationship-building skills and empowers girls to use their voice as a positive agent for personal development and social change. The program has received national attention and is currently being evaluated by the University of Chicago – Chapin Hall as evidence- based initiative. Contact our program office at (773) 779-9371, ext. 300 for recruitment information. G-WAVE is an HIV/AIDS and violence prevention program which equips 75 (25 per site) girls to share the power of their voice within their school and community. Utilizing a holistic youth development approach, the program employs gender-responsive strategies to reduce the risk of HIV infection and juvenile delinquency among adolescent girls while increasing their role in community action. G-WAVE implements evidenced-based curricula (Focus on Youth, Second Step and 3-D) and an empowerment model which includes the development of community awareness projects which promote social, sexual and academic health among youth. G-WAVE students have completed projects on a variety of topics, i.e. teen dating violence, teen pregnancy, HIV/AIDS, youth violence, etc., which have provided awareness and education to more than 200 school faculty (brown bag lunches, after school activities) and 5,000 classmates (lunchroom takeovers, after-school activities, campaigns, and Red parties). An added feature of the program is a special component to reduce fighting among girls through our “Pathways to Peace” project. Contact our program office at (773) 779-9371, ext. 300 for recruitment information. PL4G is an in-school program which is conducted during lunch periods. Girls attend a monthly session which includes a free lunch (provided by D2F) and a motivational workshop based on the book “212° The Extra Degree.” The sessions are designed to motivate girls to pursue the extra degree in their overall performance at school, home and personal decision making. Girls learn to set goals by completing a monthly “behavioral prescription” which includes short and long term goals in specific areas. Workshop instruction is grounded in the 212°concepts of: Attitude, Kindness, Belief, Focus and Perseverance. Through group accountability and positive adult mentors, girls learn to dream and excel beyond their current circumstances. Contact our program office at (773) 779-9371, ext. 300 for recruitment information. The D2F PHIT Club is a collaboration of community partners which include a fitness expert, community organizations and a medical physician, all of which have more than 20 years of committed experience in working African American families. Participants attend weekly sessions which include curriculum instruction, nutrition information, a 45-minute workout, cooking demonstrations and field trips. Program evaluation includes: pre-survey, post-survey and a six-month follow-up survey as well as pre and post medical screenings. Cohorts are offered in the fall and spring. The program is housed in the Bellevue Ministry Center in the Roseland community. 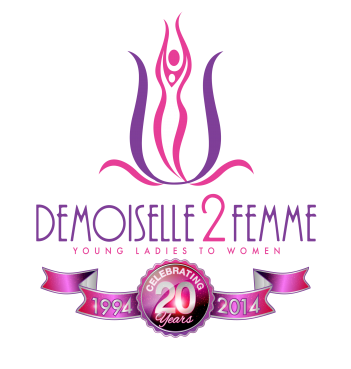 Femme (French for “woman”) to STEM is a program which provides adolescent girls ages 14-18 with exposure to S.T.E.M. (Science, Technology, Engineering & Math) careers through integrative learning experiences with an emphasis on addressing Public Health risk through research, architecture, and community transformative design. Experts within the S.T.E.M. disciplines coach, empower, and develop our S.T.E.M. participants in the areas of design & build skills, the components of research amongst human subjects, and the tenants of leadership. Girls ages 14-18 serve as social environmentalists who utilize problem solving skills to engage, confront, address and bring awareness to social issues and seek to diminish public health risks within distressed communities through short term exhibitions, multi-media presentations and design projects. F2S focuses on architectural design, engineering and technology in the fall and medical/health sciences in the spring. F2S culminates with a (3) week summer, “Building Heroes” design, build, impact boot camp which integrates skills and knowledge obtained during the semesters to engage and impact their community. Goals: Create learning experiences which increase girls who pursue post-secondary education and STEM careers; increase leadership, creative and critical thinking skills; and increase community awareness of STEM and impact public health through student-led transformative design projects. F2S targets high school girls who reside in Roseland and far south suburban neighboring communities. The success of the program has been featured in the Chicago Tribune, Chicago Sun-Times as well as on ABC 7 News. Visit our “Press” section to view articles and videos related to this program. Summer 2014 Update: Our Summer Leadership Tour will have a S.T.E.M. focus and visit major companies, universities and health institutions which are leaders in the field on the east coast. Participants will spend two days in Philadelphia to create a design-build project which integrates neighborhoods from Philly to Chicago. Please contact our program office at (773) 779-9371, ext. 300 for 2014 enrollment information. The Leadership College is an intense leadership development program designed to increase self-efficacy and life skills essential to becoming a successful leader. Students are challenged to develop their leadership potential through participation in group project creation, management, and implementation; workshops; cultural outings; and speaker symposiums. These activities teach students leadership styles, effective communication, conflict management, decision making, goal setting, character development and team work. In 2012, the Leadership College (LC) was awarded 2nd Place for the “Heroes in the Hood” service competition. The cohort created and filmed a short story which addressed self-esteem and teen dating violence. LC students used the video to conduct community education workshops to more than 150 girls, teaching them the importance of self-worth and the dangers of dating violence. The Leadership College is a two-year program and recruits only high school sophomores. The program operates on a fall and spring semester and targets 25 girls per cohort. The specific goals of the program are: to train girls in the areas of leadership, accountability, social awareness, planning and decision making; to teach girls social responsibility; to promote a deeper learning experience and volunteer ethic among girls, to provide college access services and opportunities which increase the number of underrepresented students who pursue postsecondary education. Contact Monica Plaid at (773) 779-9371, ext 312. for recruitment information. Project Hopeful is a financial literacy program which provides both parents and youth opportunities to increase their financial health. Parents and students participate in a one-day family financial conference which provides six (6) hours of instruction in financial literacy and one additional 2-hour session. The program implements an adapted version of the Money Smart Curriculum published by the FDIC. Parents learn about credit and financial recovery, saving, budgeting, small business development and home ownership; while students learn the basics of banking, saving, money management, credit and paying for college. The sessions are facilitated by professionals in the banking, educational and financial industries. While D2F primarily serves teen girls, Project Hopeful is a program that is open to the entire family, ages 12 and up regardless of gender. The program is completely free and is offered in four (4) cohorts of 30 -35 parents and students per year. The success of the program is summed up in the words of one parent participant who stated “My children are learning about money and credit at an early age which will help them to make better decisions than I did; and now I have information to make better decisions and even fix some of my mistakes. Contact Camille Wright at (773) 779-9371, ext. 313 to register for the next cohort. This program component is all about college retention and completion! The College Connection provides support services to participants from their freshman year in college to completion of a baccalaureate degree. Students receive: scholarships, semester care packages, seminars, internships at D2F, professional guidance, summer and winter college soirées, mentorship, and a monthly support conference call. To celebrate the academic accomplishments of program participants, high school graduates receive a D2F (orchid and fuchsia) graduation cord and college graduates receive a D2F monogramed stole. In preparation for the tour, students participate in mandatory College Cafés facilitated by the College Coordinator on a bi-monthly basis throughout the school year. Workshops focus on college preparation, techniques for the ACT Examination, financial aid, assistance with college applications and developing a tracking system for participants at various levels in high school to complete high school requirements for graduation. All Tour activities are centered on leadership skills and include the following events: college visits, service learning projects with local community based organizations, a summit with local girls, a women’s’ leadership symposiums, and cultural outings. Before departing for the tour, students receive ID badges, a leadership handbook, leadership shirts and tote bags. Students also complete a leadership tour pre-survey. During the leadership tour, morning activities include daily affirmations and a Leadership Word of the Day introduced by D2F staff. Students are infused with the attributes of the Word of the Day through educational movies, documentaries, group projects and photos facilitated by the designated staff member. Social media is also utilized as means of disseminating information to the community at large on events taking place during the tour. Visit our Research and Evaluation page to view pre/post data from the Summer Leadership Tour.